WMU Jazz Band places 5th at IAJC 2015! This isn't an April fools day joke, Yesterday the WMU Jazz band received 5th place in the 40th annual Iowa Jazz Championships. 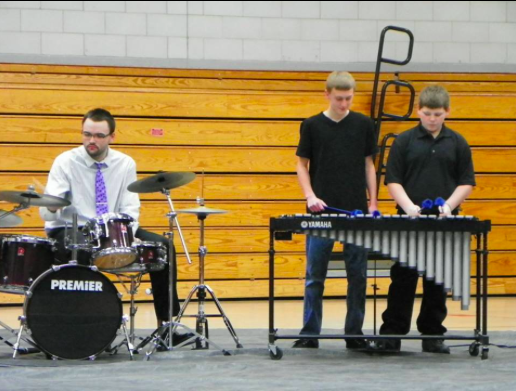 The students played incredibly well! Freshman Cecelia Hemsworth received an outstanding soloist nomination. Congratulations to them! 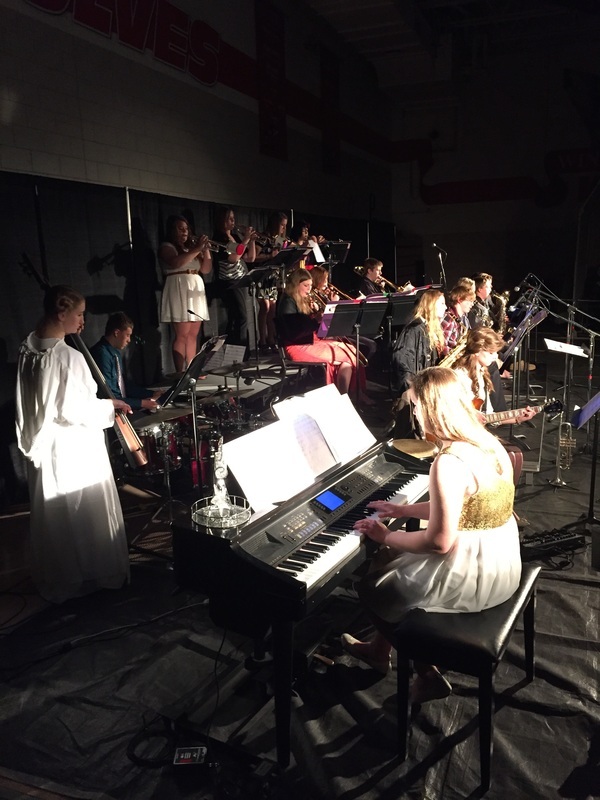 The WMU music department performed the annual cafe concert. 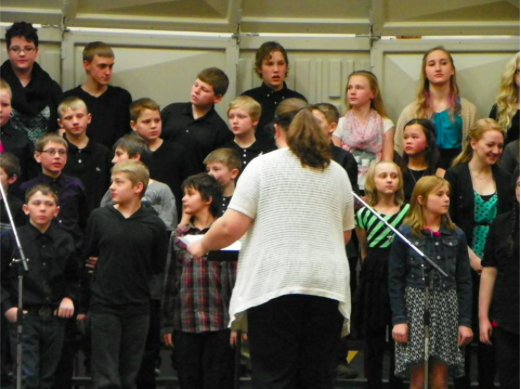 This concert is one of our program's largest fundraisers during the year. 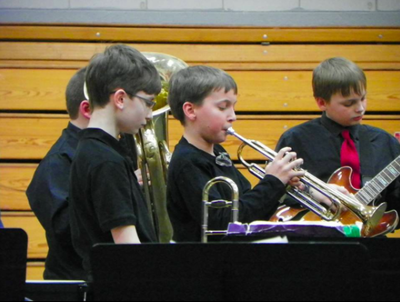 Performances by the choir, jazz band, and concert band were well received by all. Thanks to everyone who played and volunteered. There are currently fewer than a dozen table seats left for Saturday's Cafe Concert. Anyone who hasn't ordered yet needs to get in touch with loganvw@wmucsd.org ASAP! There are still PLENTY of bleacher seats left so fear not! You will be able to see the concert if you show up. The concert is Saturday night (March 28) at 7:00pm! Come and support the band and choir programs! Junior High band students got small ensemble music this week. 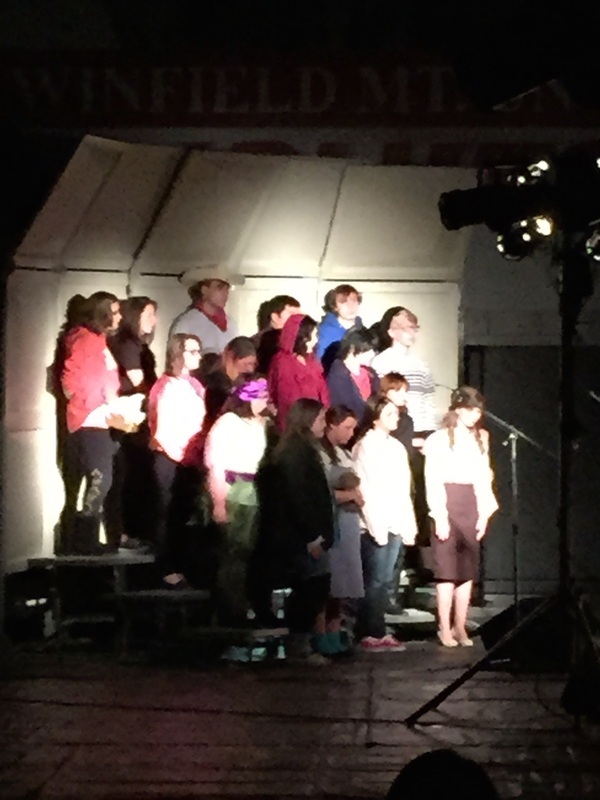 Their rehearsals have been them working in small student-run ensembles while Mr. Vander Wiel moves around and helps. The students are preparing for WMU's solo/small ensemble festival on April 25. 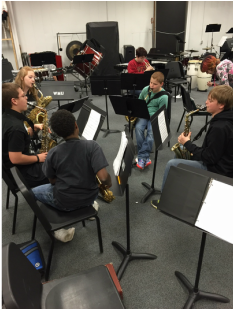 Junior Raelen Gipple has been selected to play guitar in the Iowa All State Jazz Band. She is the first student in 15 years to receive this honor. She will perform with select students from the best 1A and 2A bands from across the state on May 14 at 3:30pm. The 1A/2A All State Jazz Band will be directed by Bob Long, Director of Jazz Studies/Saxophone Studio at Missouri Western State University. 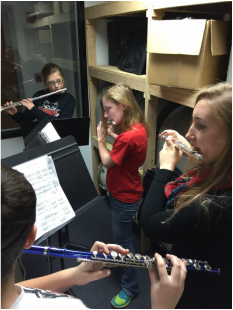 Senior Grace Edwards (horn), Junior Raelen Gipple (flute), Sophomore Katherine Bird (bass clarinet), and Freshman Cecelia Hemsworth (Alto Sax) participated in the Southeast Iowa Super Conference High School Select Band. The ensemble was directed by Dr. Scott Muntefering from Wartburg College. The students had a great time. 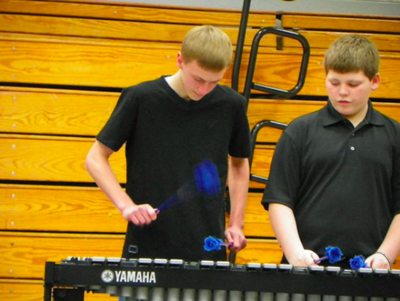 Students in the ensemble were selected from 1A and 2A schools from across Southeast Iowa. The Winfield-Mt. 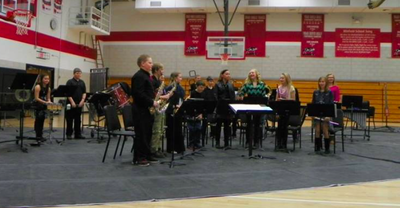 Union Jazz Band, under the direction of Logan Vander Wiel, will be participating in class 1A at the 40th Annual Iowa Jazz Championships on Tuesday, March 31st, 2015 in Des Moines, IA. Musco Lighting from Oskaloosa, Iowa sponsors the event in cooperation with Iowa Jazz Championships, Inc., Jazz Educators of Iowa, and the Iowa Music Educators Association. The Iowa Jazz Championships are considered to be a unique event nationally due to the format and caliber of performances. 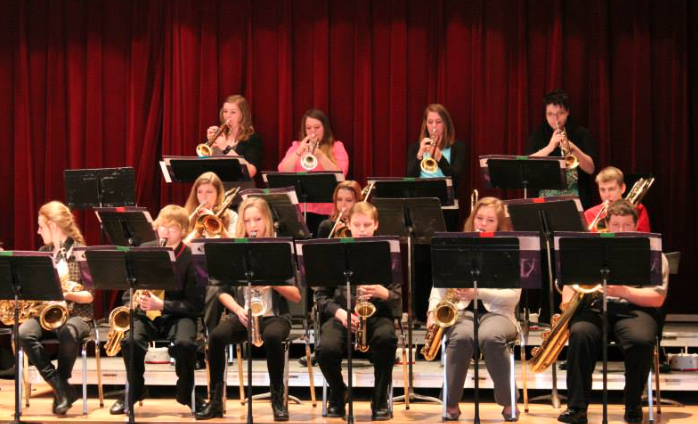 The annual state championship event invites the top 15 jazz ensembles for each class 1A-4A (60 bands total), bringing together many of Iowa’s finest young jazz musicians to compete in one of the largest one day festivals in the nation. 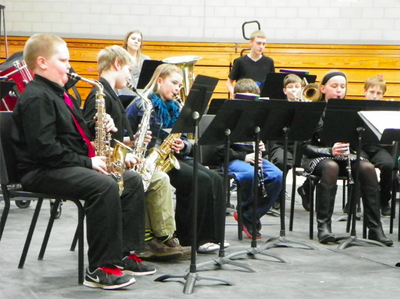 Jazz Bands qualify for the Iowa Jazz Championships through district and independent qualifying festivals. Each jazz ensemble performs a twenty-minute set before a panel of three judges during the morning and afternoon competition. The top two performing jazz bands from each class will then compete that evening in the Des Moines Civic Center for the Iowa Jazz Championship state titles. The Winfield-Mt. Union Jazz Band will perform at 1:15 in the Community Choice Credit Union@Veteran’s Memorial. The afternoon award ceremony will take place in the Des Moines Civic Center Main Hall at 5:15 p.m. and the Championship Concert will begin at 7:00 p.m. Admission to the daytime competition is $10. Evening Finals Competition is $10. The WMU Jazz Band continued its 2014-15 season strong by placing second at the Coe College Jazz Summit in Cedar Rapids. 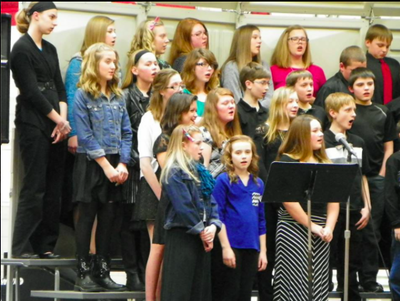 The Junior High and 6th grade choirs and bands play and sang excellently! A special performance by Jack and the Cornstalks was well recieved. 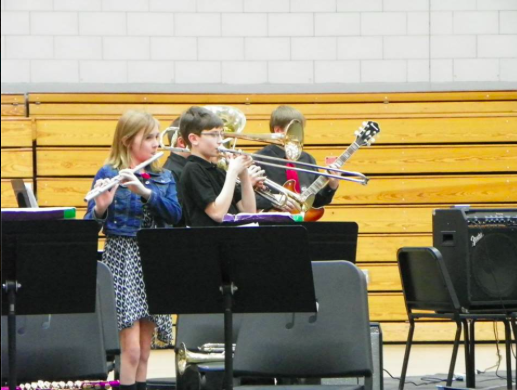 Jack and the Cornstalks is a group of students 6th-8th grade who write their own jazz songs. An incredibly fun group of students.